There are few games in this or any genre of gaming which have had as wide-ranging and long-lasting an influence as Elite. Pioneering two genres at the same time — the first person perspective space sim and the space trading sim — Elite is a game that still influences the genre nearly thirty years later. 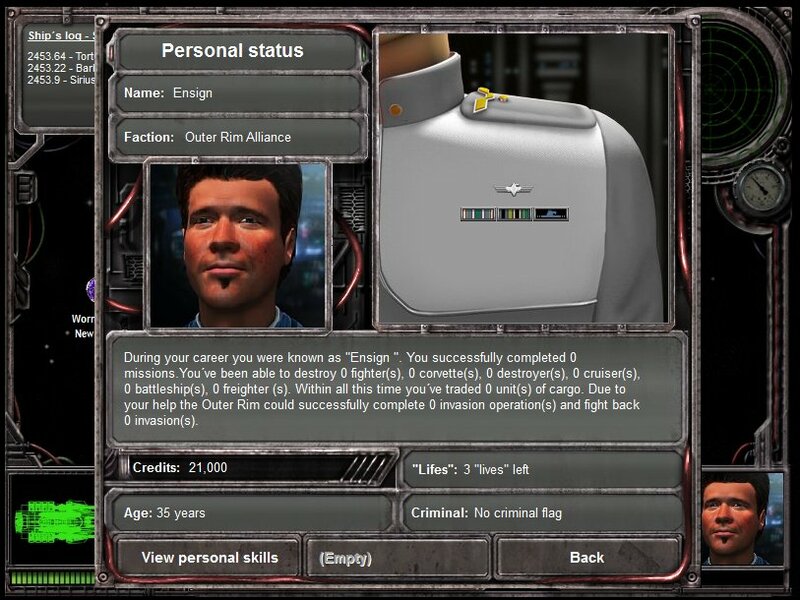 One of the more recent offshoots of Elite’s pedigree come to us via early handheld computers such as the Palm Pilot with games like Space Trader and Solar Wars. These games offer all the trading and mission variety found in games such as Elite, Wing Commander: Privateer and so on usually without the 3D engine. These games have made their way to the PC as well, including games like Black Market and the Smugglers series. Today, we’ll be looking at the latest iteration in the latter series, Smugglers 5, and see how it fares. First off, I have to apologize for the lack of screenshots. I typically use Fraps to get screenshots, but for some reason it wasn’t getting any from this game. I then tried the demo version of Hypersnap to see if that would work, but no dice. I can’t trust myself to take good screenshots — I always take ’em a moment too late — so for the purposes of this preview, I’ll be using screenshots from the official site. Sadly, You Don’t Start with This Ship. Once you enter the game proper, the tutorial explains how to go about actually playing the game, which is both deep and simple. The game is totally turn-based, so to get anywhere takes a certain amount of turns, or days, for example. Combat is also turn based, which is good as there’s a lot going on there, but we’ll talk about the basic gameplay first. First off, you have a character with a name, a rank and stats. You character can gain levels, promotions and so on, and this happens with some regularity in the game, always enticing you to try another mission or explore another system. The other character is your ship, of which there are several different classes to choose from, such as fighters, freighters and so on. 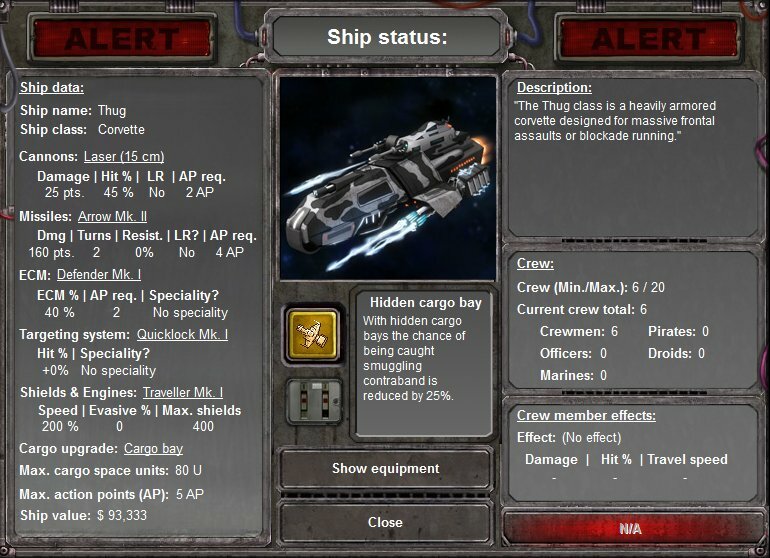 Different ships have different cargo capacities and base stats such as armor and so on. You start with a small fighter, but can then upgrade to a corvette and so on, which can hold more and bigger weapons. The way to do this, however, is acquire wealth. If there’s one thing this game excels at, it’s giving you avenues to wealth, be it through missions, trading or random encounters. First off, we’ll look at missions, of which there are several types. You can get missions from planets, and each system has at least one. Planets not only give missions, but opportunities to trade, buy new ships and weapons and even engage in some little planetary text adventures I happen to randomly find while playing, which was cool. Now, most missions involve combat, but it’s not the only way to get in a scrape. First, you can get into a random encounter with a pirate just by traversing a system. You can also look at your local radar and identify red blips that are pirates or ships with a bounty on them, and initiate combat yourself. This way, there’s always the opportunity for a tussle. Combat happens quite often in this game, but thanks to its turn-based nature, it’s never overwhelming. There is always a lot to do, however. As I said earlier, your character can gain in levels, and when they do, they can also choose from combat-specific abilities, which help with targeting, weapons fire and so on. These are typically one of the first things to be done when combat is entered. Using these abilities uses action points, and you only have a certain amount of action points per turn. For example, you might have five action points, in which you can fire two gun shots (which use two AP) or fire a missile (which uses four AP). If there’s an incoming missile, you can also try to fool it with ECM (which typically takes five action points). Between all of this, as well as fun abilities like being able to taunt an enemy to throw off their targeting, for example. They, however, can do all the same to you, which can throw off your targeting or other negative effects. Even though combat is a turn-based affair, it’s always tense, as you watch the damage and AP indicators on both your and your enemy’s ships, hoping theirs dwindles down to zero first. I spent several hours with this game for this preview, and in that time I was never at a loss of stuff to do. It really gave me that “one more turn” feeling that great turn-based games convey to players, as it was always one more mission or one more round of combat or one more system to explore (systems can also have random effects like treasure, escape pods, derelicts to board and so on). This is the mark of a great game, and once some technical and spelling issues are fixed (it IS a beta after all), I see this potentially being a great game. I hope you’ve enjoyed this preview, and I thank you for reading it. Have a great day! I’m only just a little miffed that this is really an updated version of Smugglers 4. Mostly the same art assets with some updated gameplay. But I’m being asked to pay full price for another version. That’s all? 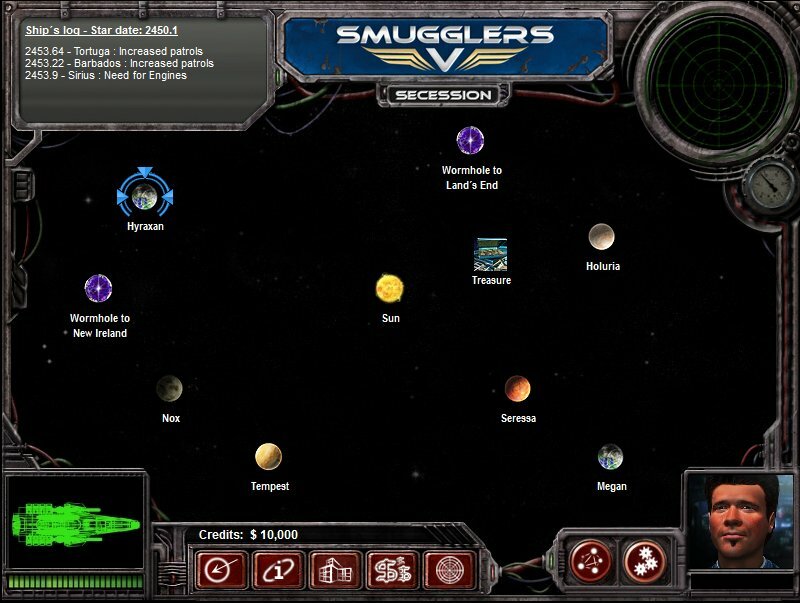 This is the only Smugglers game I’ve played so I wasn’t aware of the changes or improvements, if any. I could be wrong….wouldn’t be the first time! But from what I’m reading in the changelogs and forums it’s basically Smugglers 4 the expansion pack. But folks are being asked to buy the full package again. I’m willing to give Neils the benefit of the doubt…he’s not a “take advantage” type developer. But something doesn’t seem quite right. And I’ve paid for Smugglers 4 (way back when) so I’m not in a big hurry to jump on a full price “new” version. That’s totally fair man. Would you like me to contact Neils and ask about your concerns? Hi there, thanks for the review Brian. 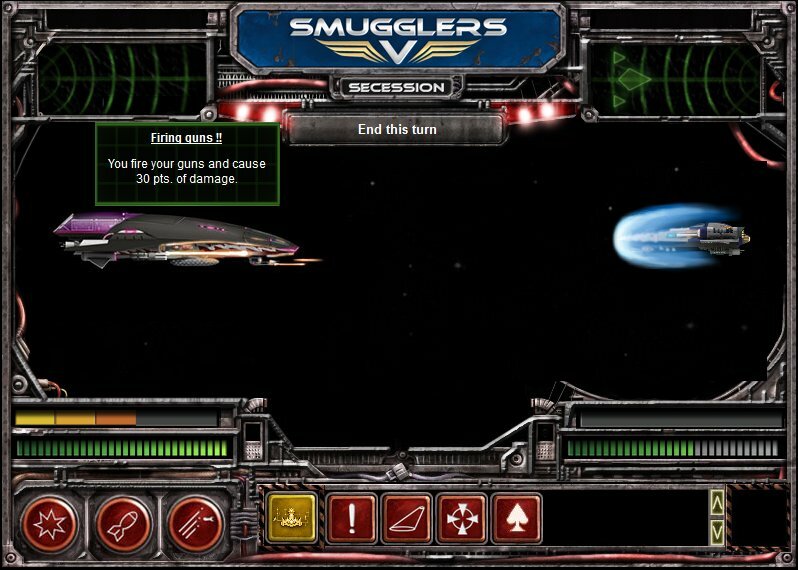 You can also get the same link on my official website (http://www.nielsbauergames.com/smugglers5.html). If it´s ok for Brian I can also post the whole list here (or he may), but it´s really, really long. Just browse through. I think I have added a tons of new content that very well justify the price, but you have to make this decision yourself. What you see is what you get. I think it´s obvious that it´s not a complete new game. That´s why it has a 5 in it´s title. When I had to decide between cosmetic changes or content updates, I have decided to rather include new content updates. Previous story Update – Elite: Dangerous Kickstarter Launched!